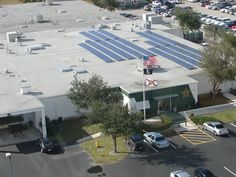 Fafco Solar just completed a 38.25kW Solar Photovoltaic System for FMI Hansa Medical Products in Naples FL. 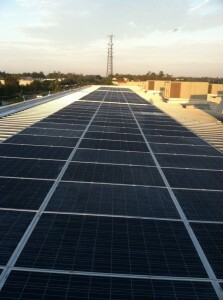 The rooftop solar array is comprised of 153 solar modules from Canadian Solar rated at 250W each. 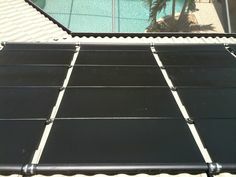 The microinverter-based system uses 153 Enphase M215 microinverters mounted beneath each solar module. 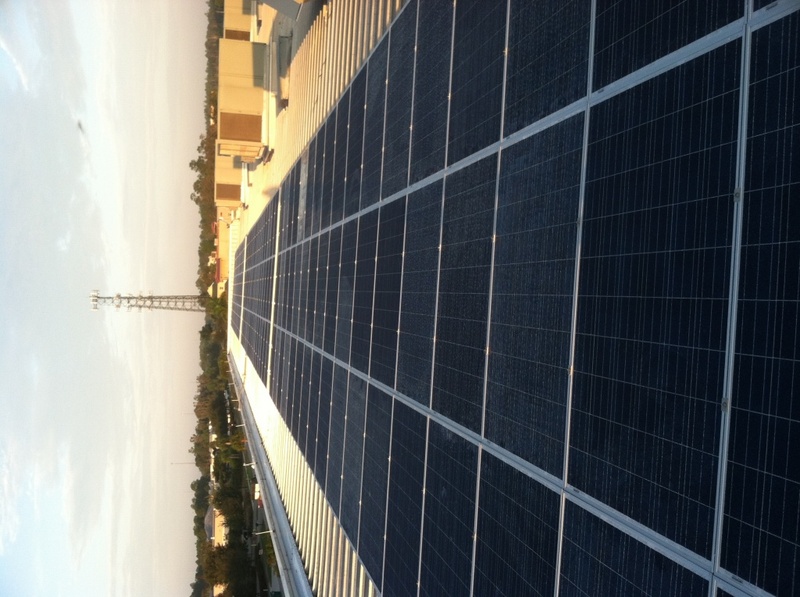 FMI Hansa representatives contacted me less than a month ago after realizing that the original company contracted to install the solar panels was not meeting its obligations. 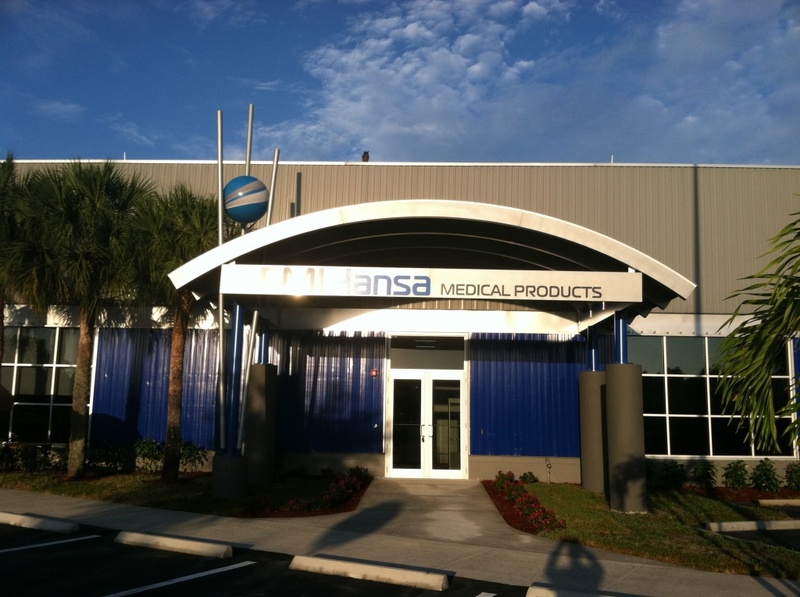 The owner had a strict November 20 deadline for a ribbon cutting ceremony at their beautiful new facility at 3511 Plover Ave, Naples, FL. Based on what I observed, the contractor was hopelessly headed in the wrong direction. 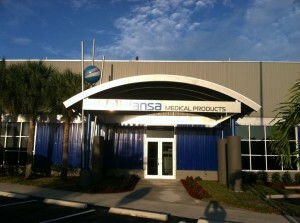 Half of the materials had been delivered, and they were unable to procure the remaining materials required due to a manufacturer bankruptcy. 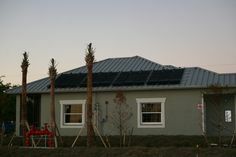 The design was flawed from the beginning and the materials on-site did not match the plans. 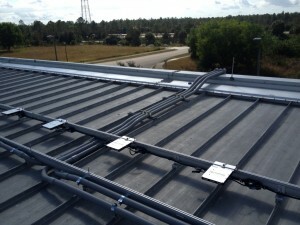 The original contractor was terminated and I recommended that we go back to the drawing board – a bold recommendation given the short time-frame allotted for the project. In three weeks after signing a contract we were able to design, engineer, permit, procure, install, and inspect the system just in time for the ribbon cutting. 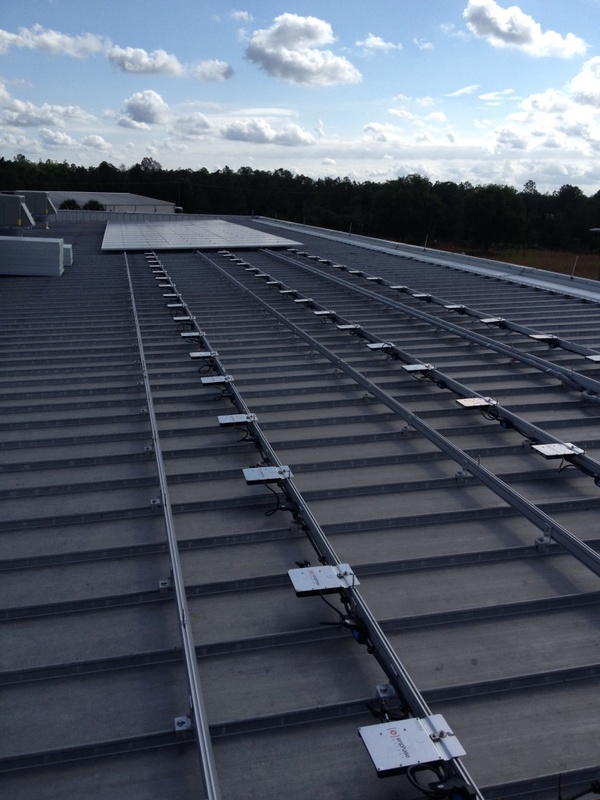 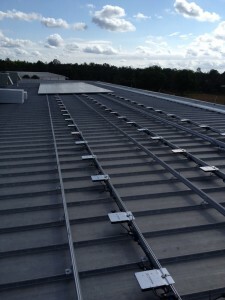 This system used non-penetrating S-5 clamps to attach the solar rails to the standing seam metal roof, just like the Naples Botanical Garden solar energy system just down the road from this site. 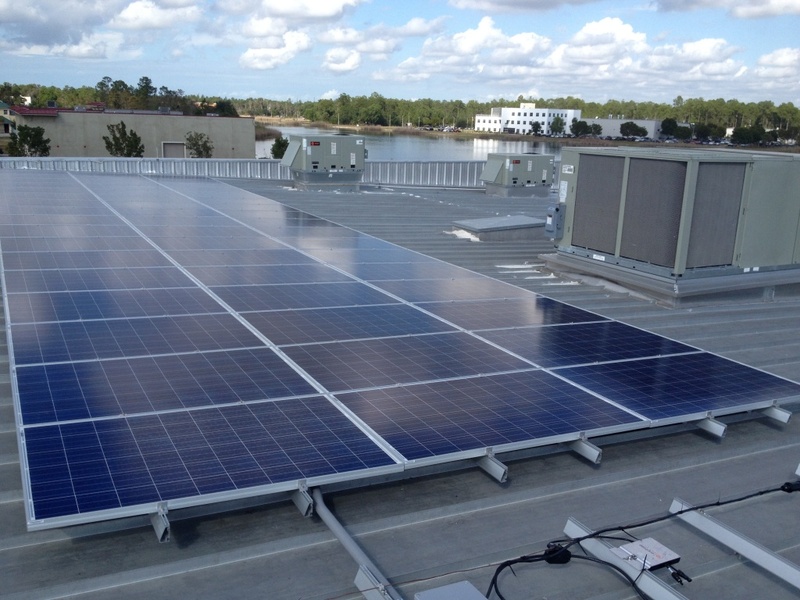 If you are in need of a commercial solar electric contractor in Naples, FL, call Fafco solar and we will get the job done – on time, and on budget.